What a way to start the new year! Another Chepstow Plant Services Komatsu HD785-7 makes her way to the dock in Southampton! 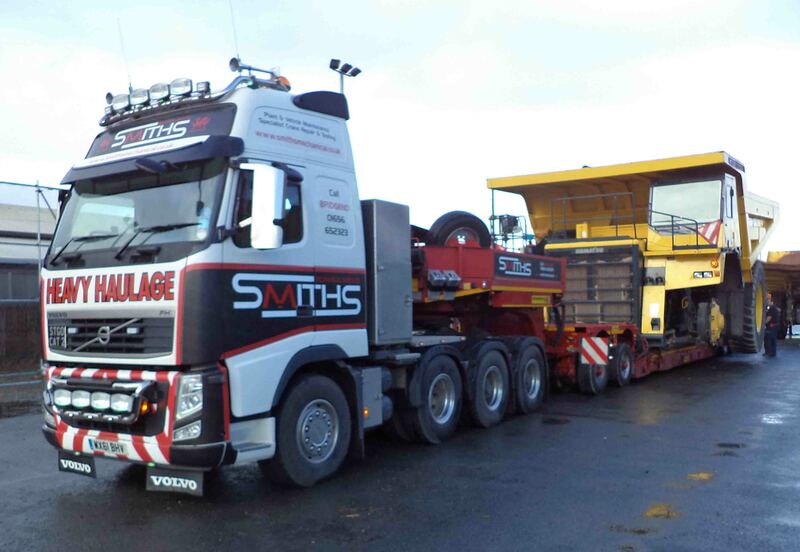 This 100 ton dump truck is off to start it's new life in a mine in Europe. It is quite an operation to get one of these beasts to the dock, they actually can't travel on the UK roads without removing the two front wheels. logistics has to be carefully planned and permits are required to ensure that the road traffic police know when the load is moving and what roads will be used.